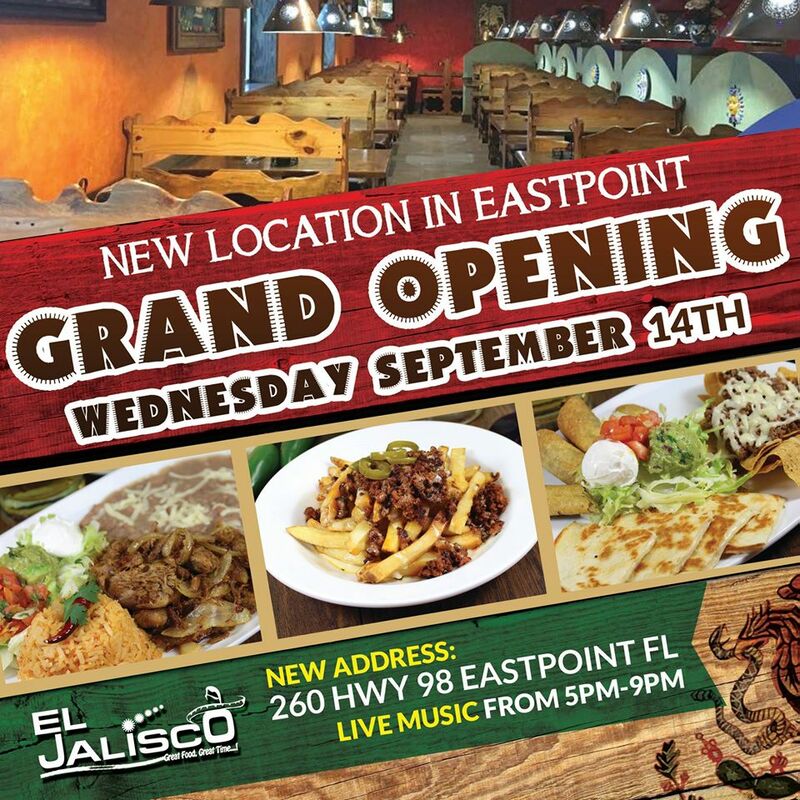 El Jalisco is a group of family-friendly restaurants serving up the best Mexican food in Eastpoint, Florida. For more than 10 years, Jesus Carranza and his family have honed their craft to bring Eastpoint and Northern Florida authentic Mexican food that is made with the finest ingredients and served fresh every day. Our mission is the same as our passion: to serve the most delicious Mexican cuisine in all of Florida. Through our continued hard work and dedication, we are committed to maintaining the standard of excellence that we have labored to establish over the years and we hope to reach more food-lovers in the Eastpoint area for years to come. We will continue to strive for rave reviews not just from critics, but from our neighbors and friends, like you. We invite you to dine with us: stop by for our world-famous fajitas tonight.